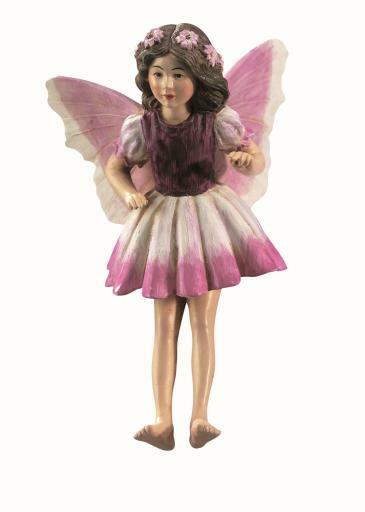 Beautifully hand painted Heliotrope Flower Fairy figurine. Optional gold string and wire pick included for securing in your display. Individually packaged in its own window display box that includes a biography of the artist, Cicely Mary Barker. Stroll through your garden when the Heliotrope Fairy's rich purple flowers are in bloom and soon you will tell, she has perfumed the garden with a delicious smell. She invites the other fairies to sit under her scented blossoms and daydream about the sweet treats that they love to eat.